Traditional passwords are static, they are easy to be stolen and vulnerable to replay attacks. A one-time password (OTP) is a dynamic password that is valid for only one login session or transaction. This means that a potential intruder who manages to record an OTP that was already used to log into a service or to conduct a transaction will not be able to abuse it, since it will be no longer valid. OTPs are generated by security token devices. OTP tokens. They are often categorized as hardware token versus software token. A hardware token is a dedicated hardware device for generating one-time passwords, and it is made in various form factors, such as key fob, display card and grid cards. A software token is a software app that typically runs on smart phones. DualShield supports and provides both hardware and software tokens, in a number of products. 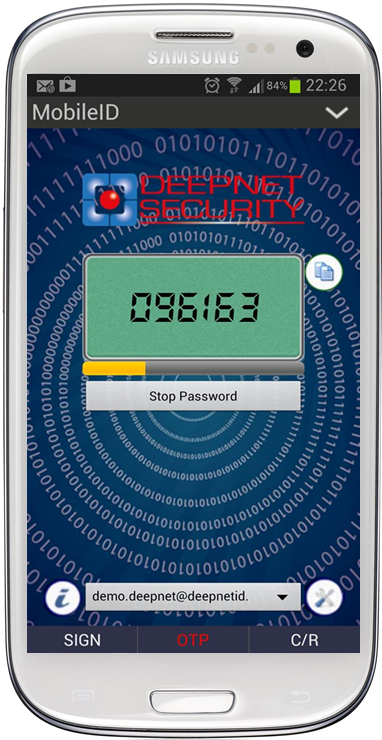 MobileID is an app that runs on your smart phones and other mobile devices and generates one-time passwords for two-factor authentication. SafeID is a compact security token device that generates one-time passwords with a single press on a button. It is available in various form factors. 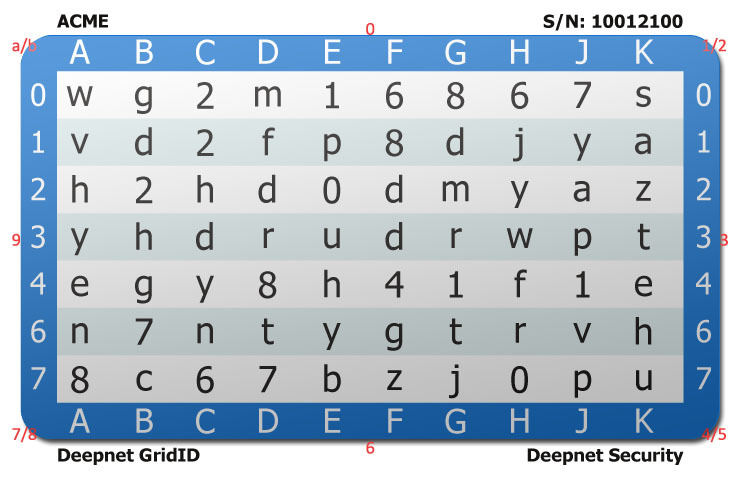 SafeID Card is an one-time password token in the form of factor of a plastic display card - the same size as a credit card or an ID card. GridID is a simple, secure and cost effective two-factor authentication token based on security grids.